Dry Fit and Ready to get HOME! Taking off that perfectly tied and pressed twill tape from MODA. **sigh** However, that almost ensures I will get started on this project and make it to the end. 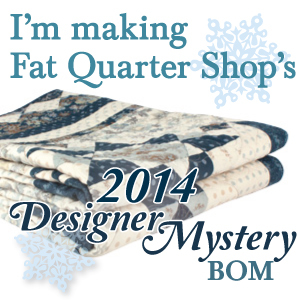 I have a tough time cutting into my new fabric – but I have jumped that hurdle already. I LOVE the French General colors! And this collection has the perfect background fabric for the project. 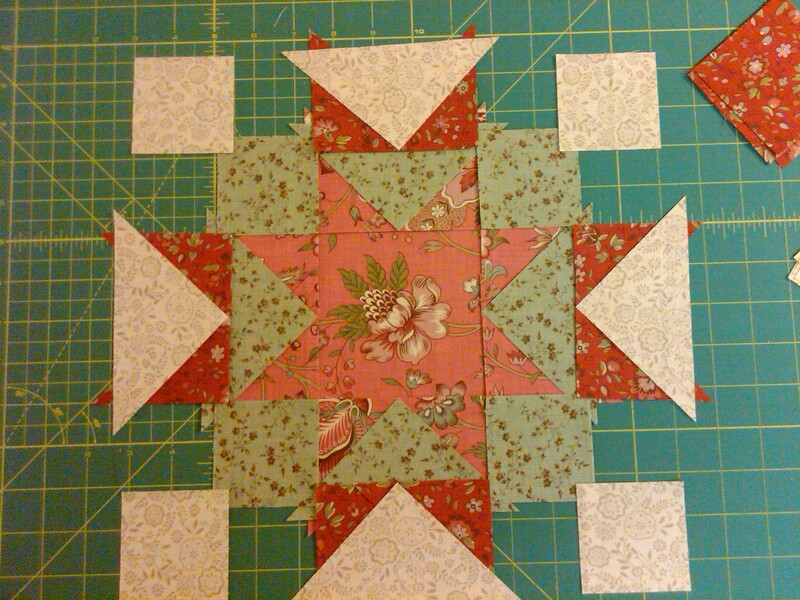 I will need to order about 4 more yards of it to cover all the blocks and sashing, so I partially decided on this collection because of this background. The only thing I might, MIGHT, add is some fabric that has black in it. It would really add some interest I think. We’ll see. Maybe in the corner stones of the sashing units. 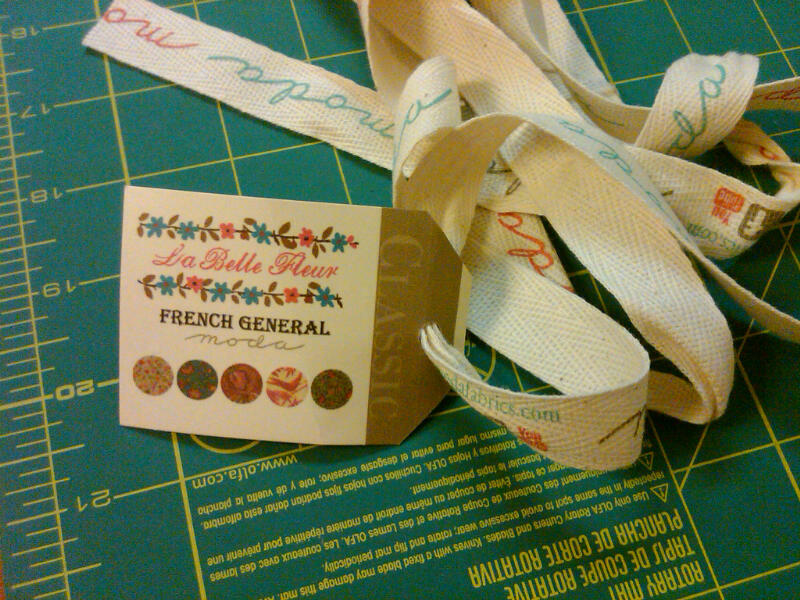 I can probably find a French General fabric that would fit that bill. 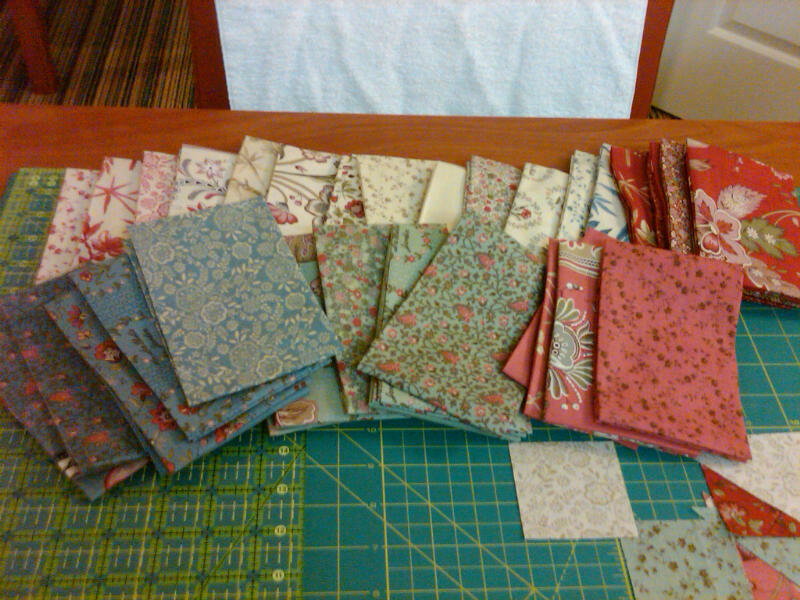 Here are the fabric selections I haven’t used yet. Definitely pulling in some of those blues into this next block. Maybe every block will have red, and alternatively switch between green and blue. I’ll try a few and see how they mesh together.